As your Active Directory environment grows, it becomes a chore to keep it tidy. Unused, stale, and forgotten user and/or computer accounts are easy targets for compromise, and not having a reliable cleanup routine can have big consequences. Finding and managing these stale accounts can be overwhelming, but DSRAZOR for Windows takes the hassle out of the process, allowing you to quickly search for, move, disable, and delete stale objects. DSRAZOR for Windows includes simple, ready-to-run reports to easily figure out which Active Directory user and computer accounts need to be cleaned up. DSRAZOR can query each domain controller on relevant attributes (lastLogon, lastLogonTimeStamp, pwdLastSet) to ensure report accuracy. 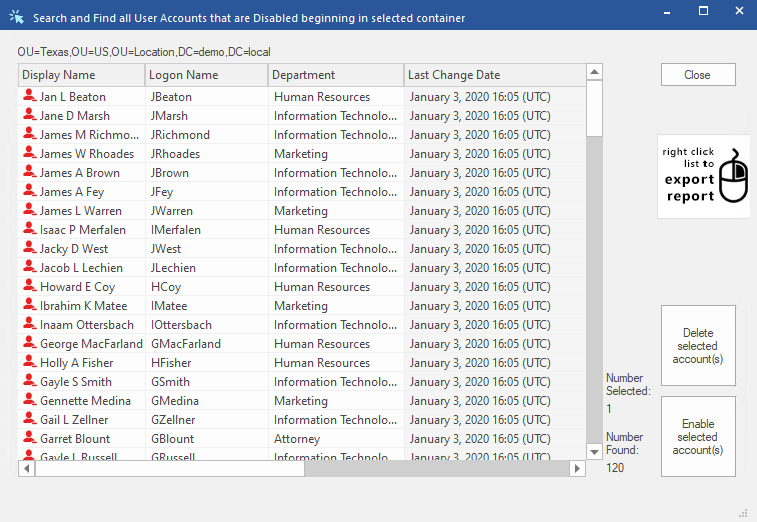 Once stale accounts have been identified, DSRAZOR for Windows lets you seamlessly delete, disable or move stale Active Directory users and computers directly from your report with a single click. Customize your Active Directory searches and automatically perform actions on resulting objects. 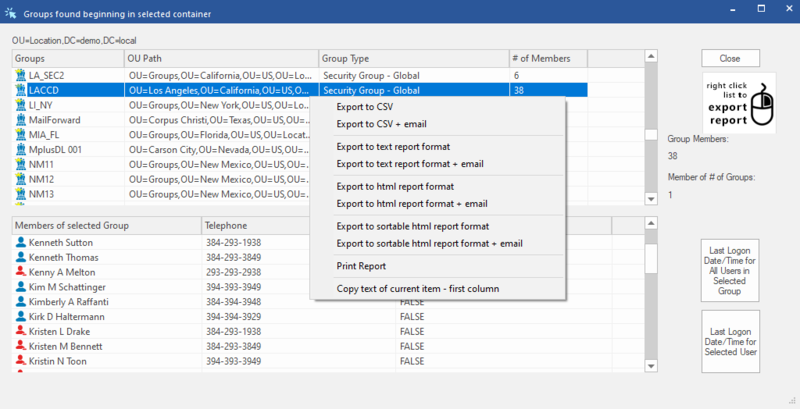 Reports can be saved as executable files, so you can delegate cleanup duties. Reports can be scheduled, and results can be verified before any action is taken. Never manually perform Active Directory cleanup again! You get to decide what attributes and range of their values constitutes a stale account. DSRAZOR can query against every Active Directory attribute.